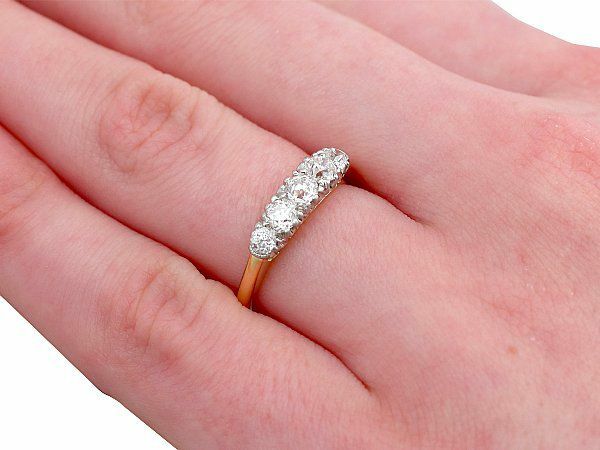 This fine and impressive diamond ring has been crafted in 18ct yellow gold with a platinum setting. 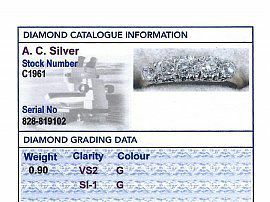 The pierced decorated multi-claw platinum setting displays five graduated Old European round cut diamonds, totalling 0.90cts. The elevated, subtly flared 18ct yellow gold ring shoulders integrate with the main setting and blend seamlessly with the plain ring shank. 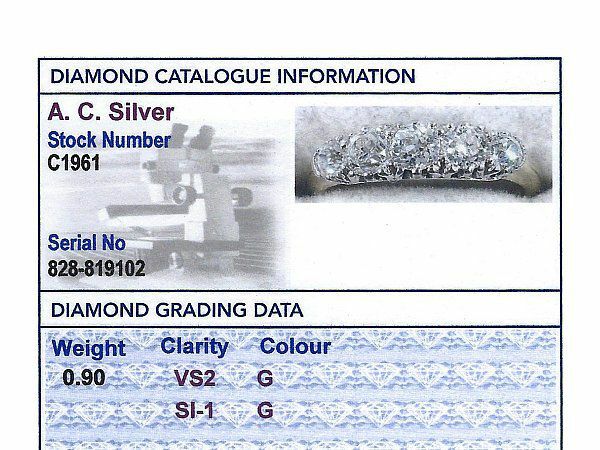 The ring is hallmarked to the interior with the 18ct gold fineness mark (750) and the setting has been independently tested using state of the art technology (Niton XL2 Analyzer) and verified as platinum. 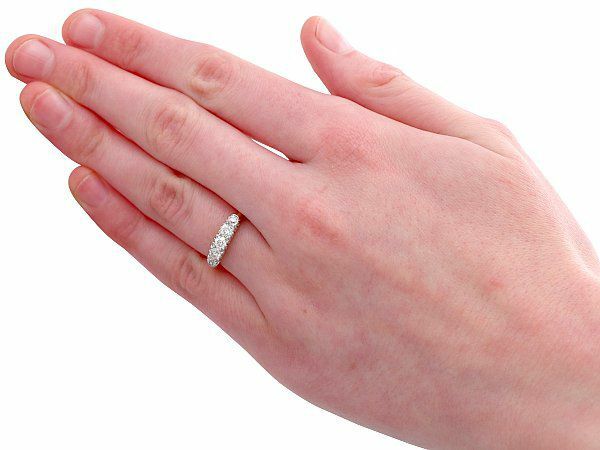 This antique diamond five stone ring is supplied with an independent diamond grading report card. 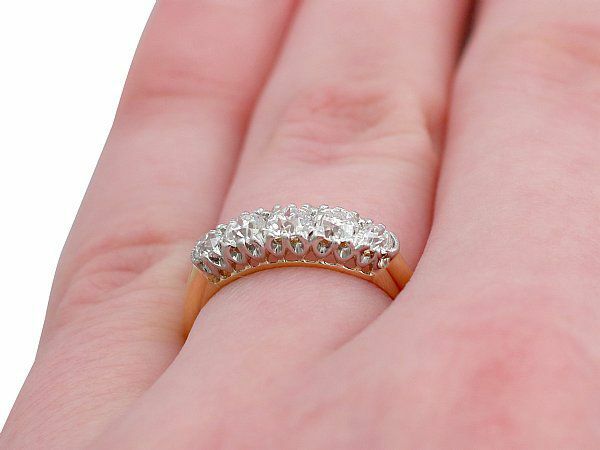 This impressive five stone dress ring is fine quality set with very well colour matched, very high colour graded old cut diamonds. The ring is a very good gauge of gold and is in excellent condition with hallmarks to the interior of the shank.